This week I would like to delve into a topic that I feel hasn’t been discussed much lately – Modern Masters. Modern Masters was released June 7th of this year and was a special edition set similar to Chronicles. Unlike Chronicles, this time Wizards wanted to get it right and provide us with a set of all reprints without tanking the prices of the cards. The reprints chosen not only resulted in a great limited environment where players were eager to buy boxes to draft, but also released into the world more copies of Modern staples like Vendilion Clique, Tarmogoyf, Dark Confidant, and other powerful cards that are the backbone of the Modern format. Chronicles had a much bigger impact on the game than many of us realize. Not all players may recall exactly what happened (or have been around for it), so I will try to lay out the basic events that helped shape many decisions Wizards would make regarding Modern Masters. In 1995, Wizards was succeeding greatly with marketing and selling their Magic: The Gathering CCG product. They realized that a lot of newer players existed that wanted to be able to play with cards from the early releases on since 1993. Unfortunately, the print runs for the first sets were very small because Hasbro and Wizards of the Coast did not know if Magic would be a successful card game or not. In order to appeal to this ever growing market of the game, Wizards decided to release another set with a considerably larger print run. 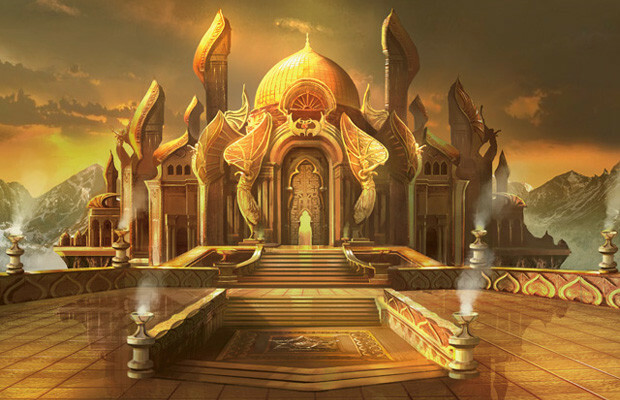 Chronicles only appealed to newer players because it did not have cards such as Mana Drain, The Tabernacle at Pendrell Vale, Maze of Ith, or Mishra’s Workshop – imagine if it had! The price of these cards would be VERY different today if they had been included with Chronicles. They did not want to include Alpha or Beta cards with this release either – those sets were strictly for collectors who bought into the first run of the game and helped to get the game off the ground. Only specific cards from Arabian Nights, Antiquities, Legends, and The Dark were included. Following Chronicles release, there was a huge backlash from collectors. The secondary market value of cards reprinted in Chronicles was severely impacted. Many of the cards saw their value drop 60%-90% because they were reprinted in such large quantities. This upset quite a few collectors who had accumulated a great deal of the original printings, and consequently saw the value of their collections dashed. In order to prevent further PR disasters like this from happening in the future, and to placate collectors who had lost a great deal with the printing of Chronicles, Wizards released the now-infamous reserved list as a promise to never again print certain cards in later expansions or core sets. A few years ago, the loophole was closed when the policy was expanded to include never printing these cards in any shape or form that is tournament legal (promos, duel decks, archenemy, etc.) To this day, Wizards hasn’t shown any sign of changing the policy, with staunch promises from several high-level employees that the reserved list is here to stay. A common opinion is that the reserve List is a mistake, as Legacy will never be able to grow with it in place. Unfortunately, Wizards as a company cannot abolish the reserved list. There are many within the company’s walls that would like to change or remove it altogether, but their hands are tied. Wizards created the Modern format as a panacea, which is free from the tyranny of the reserve list. Now they can go ahead and reprint any card in Modern-legal sets to resupply the market and make sure that there are enough copies of the cards floating around, since the reserve list only covers cards through Urza’s Destiny. Modern Masters is the second experiment with reprints for Wizards. This time around, they wanted to make sure they got it right by establishing a few restrictions for how the set would be distributed, and at what price it would retail for. Modern Masters was designed to have a limited print run to avoid a second coming of Chronicles, while still trying to appeal to both tournament and casual players by reprinting older cards that were beginning to increase in price due to their scarcity. The goal was to at least keep prices stable, or possibly even reduce prices slightly without completely cratering their secondary market value. Wizards did this by both limiting the availability of the set, as well as setting a higher-than-normal MSRP for boxes and packs. I believe that we can all learn a lot about how mass reprints like Modern Masters will affect the market moving forward. The product was very popular and well-received, with the only public outcry being that there wasn’t enough product to go around (and also a few complaints about the sealed format). I wanted to outline my longer term expectations for MM and which cards we should all look out for moving forward. I will delve into which cards Wizards was specifically targeting for price suppression, and see how Modern Masters has affected their prices. Let’s see if Wizards managed to accomplish their goal. Tarmogoyf, the most iconic card from Modern Masters, has not seen a price decrease since Modern Masters has been released. Tarmogoyf never dropped in price – after the set was released, it even went up for a little while but has since leveled off to pre-MM levels. I think the price is an accurate reflection of the demand because Tarmogoyf is both a Modern and Legacy staple. The reason that Tarmogoyf has not dropped in price is twofold. First, Tarmogoyf was reprinted as a mythic rather than a rare. This meant that it saw the least amount of new copies entering the market of any card in the set, on top of Modern Masters being a limited print run to begin with. The second reason is that the player base of Magic as a whole, and the players getting into Modern and Legacy specifically, has only increased since Modern Masters was released. Wizards intended to not only reprint Modern staples for existing players, but increase the number of players in the format as a whole. This strategy appears to be working, as the price of other Modern staples like fetchlands have increased in price significantly. Tarmogoyf would undoubtedly have also followed this path if it was not reprinted. The Future: Outside of a second Modern Masters or similar product, I don’t see Tarmogoyf getting any cheaper. They will retain their value and possibly even go up as Modern season approaches. They aren’t a target I would put cash towards unless you need to complete a playset, but if you can trade into extras with surplus stock it would definitely be a good idea. Dark Confidant is an interesting case study from Modern Masters. It is the only reprint card to firmly rise in value! This is because those same factors that helped buoy Tarmogoyf’s price actually managed to increase the price of Confidant. The Future: Since the reprint, his price has spiked to $75 and I’m not sure if this is the ceiling. Could Confidant hit $100 by next Modern season? Ravnica was opened a fair amount, much more than Future Sight, so there are more Confidants floating around than Tarmogoyfs. This will help to temper Skillrex’s price, but I could still see Confidant rising even further as more players enter the Modern scene. Due to the scarcity of Morningtide paired with heavy usage in Modern and Legacy, right off the bat Vendilion Clique commands a price much higher than is normal for a legend. In the time following MM, the price has indeed managed to drop a little bit because it does not see quite as much play as Tarmogoyf, Fetchlands, or other Modern staples. However the combination of rarity and the influx of players has prevented Clique from dropping too far. Demand remains high. The Future: Similar to Tarmogoyf, I don’t see Clique getting much cheaper than it currently stands until the next reprint. A lot of people underestimated the amount of players that Modern Masters would draw towards Modern, so as the season approaches I can see these slowly ticking up in price. Even though the swords still command a solid price of $25+, they are the first reprints I’ve mentioned to have a taken a significant hit from being reprinted. The Sword of Fire and Ice reprint is 40% less than prior to Modern Masters, and Sword of Light and Shadow is about 30% less if you pick up the latest printing. Originally, the sword’s prices were mainly kept up by casual demand since Darksteel was a hard-to-find set. Sword of Feast and Famine and Sword of War and Peace are in my opinion better tournament-worthy cards than the original swords, though based on a particular metagame any sword could be favored over another for a period. The Future: I don’t really see a big change in the price of the swords unless there is a demand in Modern for protection from particular colors. Green is an important color to have protection from due to Jund, so Sword of Feast and Famine will probably be the sword to watch out for moving forward. The only copies of Feast and Famine that exist are those from Mirrodin Besieged, so they could be a good pickup ahead of next Modern season. This next section is a list of cards that are worth watching, as they all have strong potential to see an increase during next Modern season due to their playability in the format. The Future: What a drop! Almost a 40% decrease in price since the Lorwyn high, Cryptic Command could see a jump next Modern season. The cost to pick up Cryptic isn’t too high right now, and it is a good trade target. Any blue control deck wants them, and some slower combo decks like Scapeshift are in the market as well. Arcbound Ravager didn’t see quite as big of a drop as Cryptic Command, and he is the cornerstone of the Affinity deck. This is another one to watch because as Modern season approaches this card could see an uptick in demand and therefore an uptick in price. This card also occasionally makes a strong showing in Legacy, which will help to keep the price moving upwards over time. I’m keeping my eye on all four of these cards because not only are they played in Modern but they also make an appearance from time to time in Legacy as well. Having the support of two formats is no joke, as Tarmogoyf and Dark Confidant can attest to. Being rare does limit the upper bound, but I expect all three of these cards to eventually crest $10 again, and possibly even more. These are another set of cards I will be keeping my eyes on that have dropped in price significantly but for a different reason. They are all strong causal cards in addition to being tournament playable. Casual demand has become a big part of predicting the price of a card. Kalonian Hydra and Archangel of Thune are good examples of this – they really aren’t even played in Standard and yet they are $20 mythics. I think the same could be true for several Modern Masters cards, since nearly every rare and mythic was $15 or higher at one point in their original printings. If I start seeing any movement in these cards as Modern season approaches I won’t hesitate to pick them up. I like speculating on uncommons from Modern Masters because I feel like these are the types of cards that have a lot of room to grow during Modern season next year. They’ve all experienced big drops from their original highs and can be acquired in trades as extra throw ins. Even purchasing extra copies of these for the right price could be a good call. Once Modern season gets going, they will all be seen across a variety of decks in the format. Any one of the uncommons could definitely spike. You won’t see a huge return on any individual copy, but doubling and tripling in price isn’t unfathomable. Jumping from $1 to $3 doesn’t sound impressive, but when you have 30 copies it will be. I’ve been grabbing extras anywhere I can. It has been four months since Modern Masters was released. According to the raw numbers it looks like Wizards has achieved its goal of reducing prices overall while not crashing the market. Even though Tier 1 staples like Tarmogoyf and Dark Confidant have leveled off or increased in price, many of the other staples have taken quite a hit from the set’s release, especially uncommons and rares that derived part of their price from casual play and just plain scarcity. Over the next six months and as Modern season approaches, I expect many of the cards I mentioned to start ticking up in price as they become harder to find and more players need them for Modern tournaments. Eventually, Modern will become the new Legacy. This won’t happen for quite a few years because the reserved list exists – it is basically unavoidable. Wizards now knows that they can create sets like Modern Masters in order to keep a successful eternal format alive by reprinting scarce cards every so often. Luckily for us, these sets also open up plenty of financial opportunities to gather reprints once they hit their low points in anticipation of the following Modern season. I like your article a lot! One thing to add is thay Hasbro didn’t acquire Wizards until 1999. There is a common misconception about Chronicles. People think that the “best” cards were reprinted in that set. The reality is that the cards that were percieved as best were reprinted. A lot of people were not playing in 1995 like I was. Most people cannot imagine what the magic world was like before the internet. We had heard about cards, but never seen them. the elder dragons, killer bees, carrion ants, fallen angel…..they all seemed awesome. No one proxied stuff back then, Why would you? So we just assumed that these cards would be great…if we could just get them. So wizards gave them to us, and they were bad. Not just kinda bad, but stinking horribly terrible. It’s telling, even i it’s time the cards that saw play from chronicles were: Ernham Djinn, City of Brass, Blood Moon, and Hells Caretaker (rarely). Cards like Lands edge were trumped by stormbind and other current cards. The point is, the prices of Chronicles reprints fell so much because there were bad cards. Not because of the increase of supply. the increase in supply just let everyone figure out the cards were bad. Modern masters shows what really happens to good re-prints. the price falls at first, then climbs again over time, because good cards are good. Look at wrath of god. Here is a card printed into oblivion. In every base set up to 10th edition. Printed solid for what, 12 years? Still worth 5 bucks, and when it was in standard fluctuated between 7-10, at all times. Good cards retain value. High demand cards retain value. Tarmagoyf is still money, no matter what. Engenerd explosives is fringe playable and a 2 of in most decks. Prices are contextual, and to ignore that is to mislead yourself into bad decisions. I don’t think Hasbro had anything to do with Magic in 1995. Yeah, Hasbro didn’t buy Wizards until 1998. They had no part in earlier decisions.